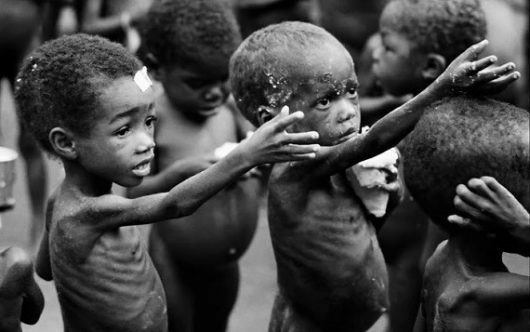 The United Nations Children’s Fund (UNICEF) says Nigeria has the second largest number of stunted children in the world, with over 11 million children under the age of five affected. Annefrida Kisesa, the Chief Field Services and Operations, UNICEF, made the remark at a two-day workshop on nutrition and comprehensive dietary diversification held on Tuesday in Kano. NAN reports that the workshop was organised by the fund in collaboration with Kano Emirate Council Committee on Health and Human Development for district and village heads from Bichi and Sumaila Local Government Areas of the state. “Kano is the most populous state in Nigeria with 13.5 million people including 810,000 children aged six to 23 months. Stunting affects more than half (58%) of under five in Kano State,” Mrs Kisesa said. She explained that poor infant feeding was one of the reasons for stunting and called for greater investment in nutrition in order to ensure that all children enjoy better health and nutrition state. She said the survey also indicated that 40.5 per cent of the children were consuming Minimum Meal Frequency (MMF), while only 14.6 per cent were consuming Minimum Acceptable Diet (MAD). “As a child rights advocates, UNICEF firmly believes that without investing in children, human development will always remain incomplete. “It is not a favour for children, but it is their right, all of us, parents, communities, and governments at all levels, we have a responsibility to uphold to ensure economic growth and development of the children,” she said. According to her, parents and community leaders have a critical role to play in transforming lives of their communities and children. “The first 1,000 days of life from conception to two years represents a critical window of opportunity for the promotion of optimal growth, health and development. The UNICEF Chief of Katsina Field Office, Padmarathi Yedla, reiterated UNICEF’s commitment to achieve child survival and development in Kano state in particular and Nigeria in large. The Emir of Kano, Muhammadu Sanusi II, called on traditional rulers in the state to enlighten their subjects on the importance of giving children food that has nutritious value. He urged the participants to support the programme with a view to achieving the desired objective.